I remember when Brittany first called me. I immediately liked her. Not only was she friendly and sweet but she was so genuine. I remember asking her how Ben proposed and I remember her drawing me in. The proposal didn’t go as planned, however, it couldn’t have been more perfect for the two of them. These two married this past Saturday. The day was gorgeous and it was the sweetest day! Brittany was full of joy as her bridesmaids surrounded her with love. Ben was all dapper in his suit waiting for that moment that he would see his beautiful bride walk down the aisle. During our engagement session with them we spent a couple of hours getting to know them. They are both fun and again very genuine. However, those house equate to nothing on who these two individuals are. Listening to guest and after guest, the pastor and the Dads go on and on about these two really confirmed in Luke & I that they are truly each others soul mate. I loved what Ben’s Dad said about them at one point. He was listing the qualities of Ben and then of Brittany. He said that it might sound as if he is talking about the same person. And perhaps he is because because they were made to be one. Scroll to the bottom to see all the amazingly talented vendors that contributed to their day! Thank-You Caitlin! Her dress was breathtaking! 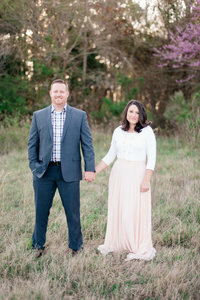 Absolutely stunning bride and groom portraits! What a lovely couple and amazing photographs! I love the ones of their grand exit! Those dock portraits are dreamy!! Love!! What a gorgeous wedding dress!! !